Alain Silberstein (http://www.a-silberstein.fr/) watch. 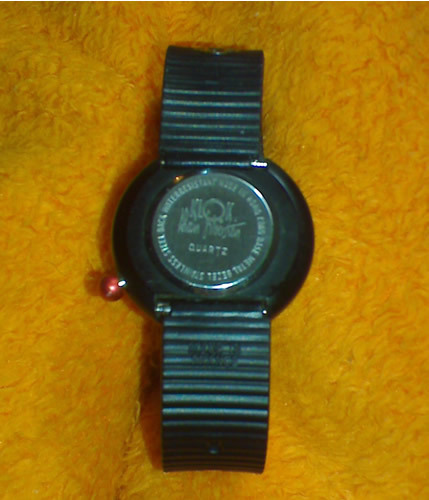 The watch was made in 1980's in Hong Kong, but it is 100% authentic. Interesting design. Has writings "KLOK" and "Alain Silberstein" on the back case. The same watch (not exactly) costs more than 700 EURO on eBay. 33mm x 9mm (height), original rubber band, quartz movement. Ideal condition - New Old Stock. No box, no papers. 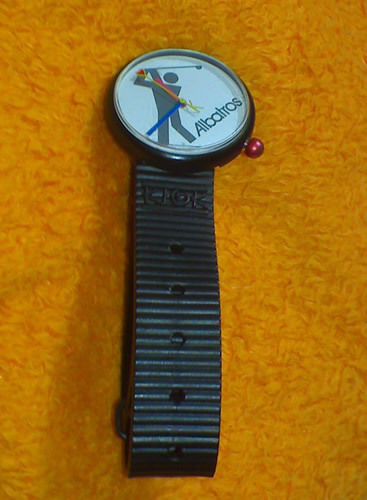 Very rare and interesting watch.